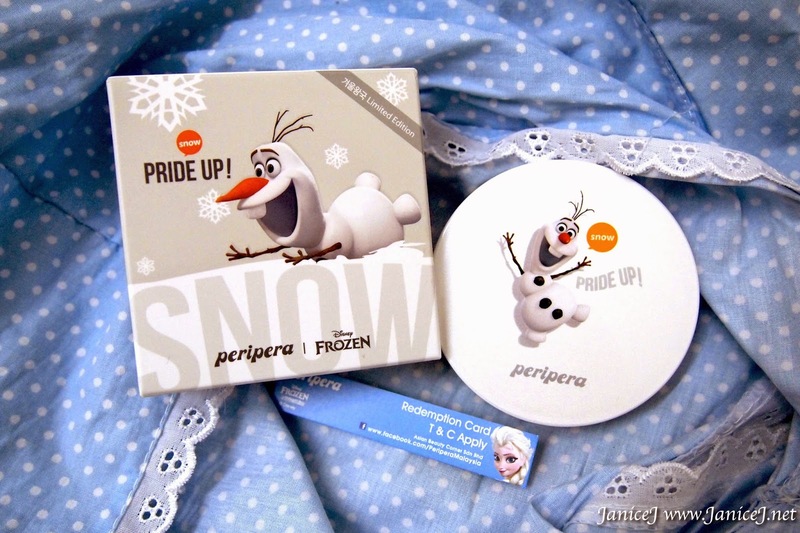 Peri Pera Malaysia releases a series of Disney Frozen collections. The packing is also, very cute. 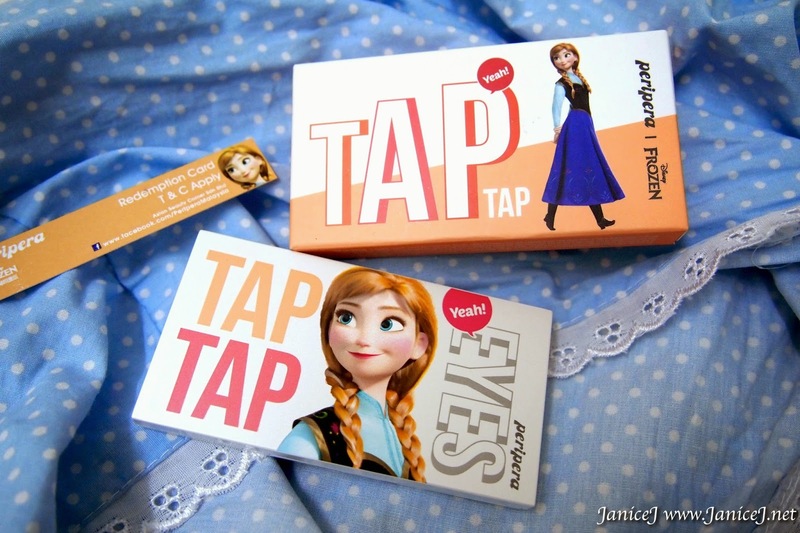 Each of it comes with a card (as shown in photo) for their redemption activities. All of the products come in really solid pearl coloured case. 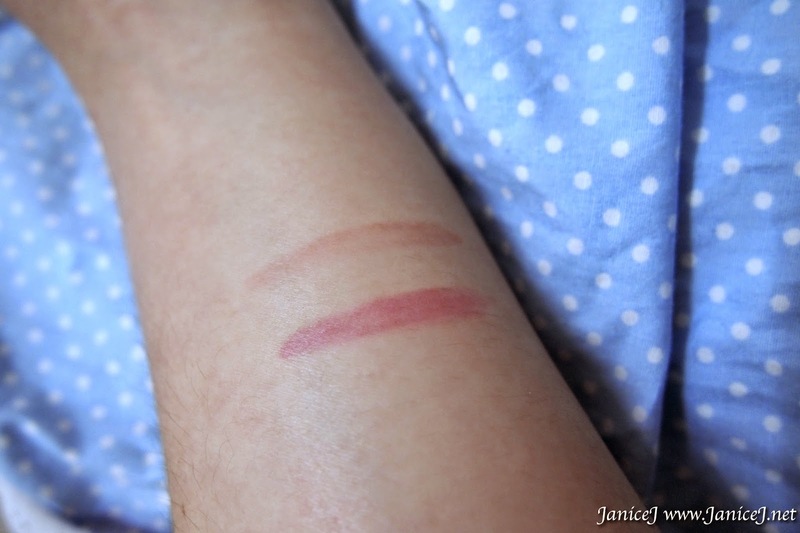 It does not look any cheaper compared to some counter brand's collaboration. To me, it is pretty similar to Mac's. I am hesitate to get their powder compact at first. 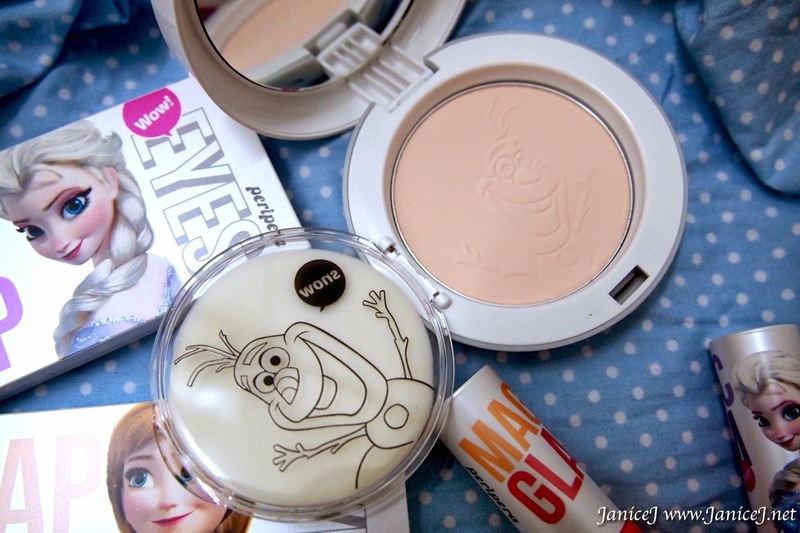 Not until I saw the Olaf print on the powder itself. Too adorable isn't? 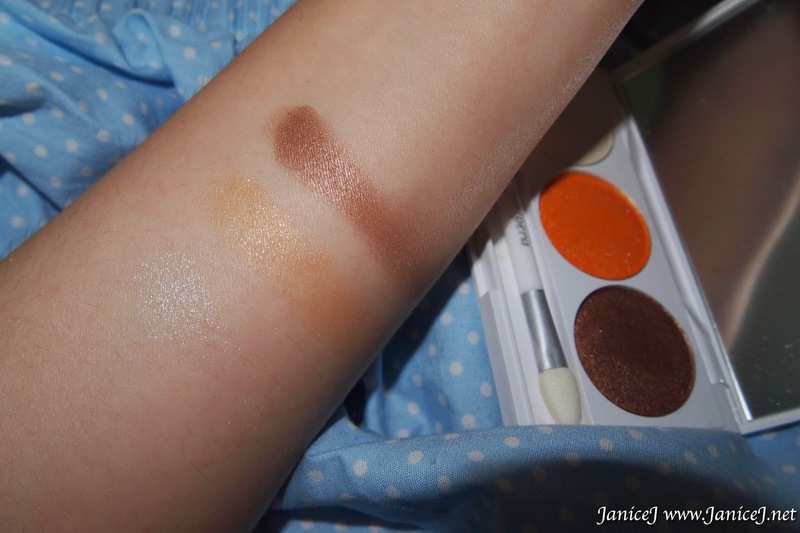 Comes in two tone, 1 Milky Peach for the really fair and 2 Vanila Beige for most people. 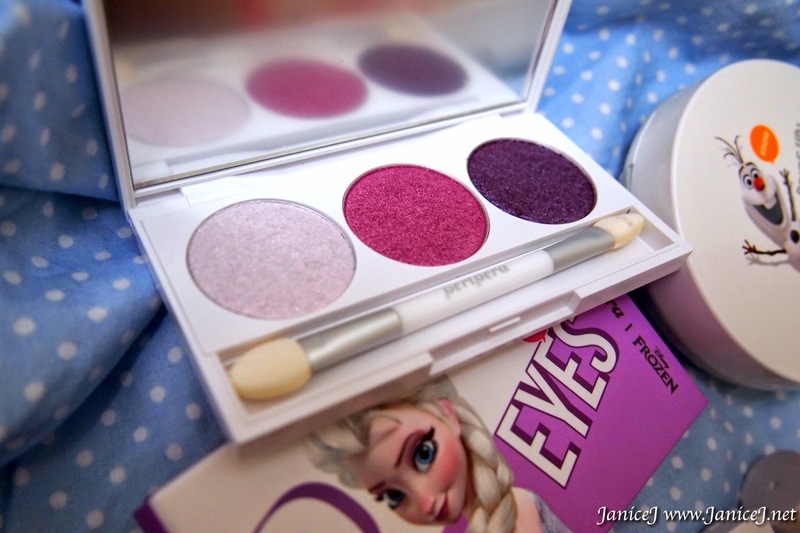 There are two palettes in this collection, both Anna and Elsa's. Like what you would expect, colours are like what they are wearing. Both has lots of glitters in it. It is really shiny and gives the Let it go feeling when I first swipe it on. 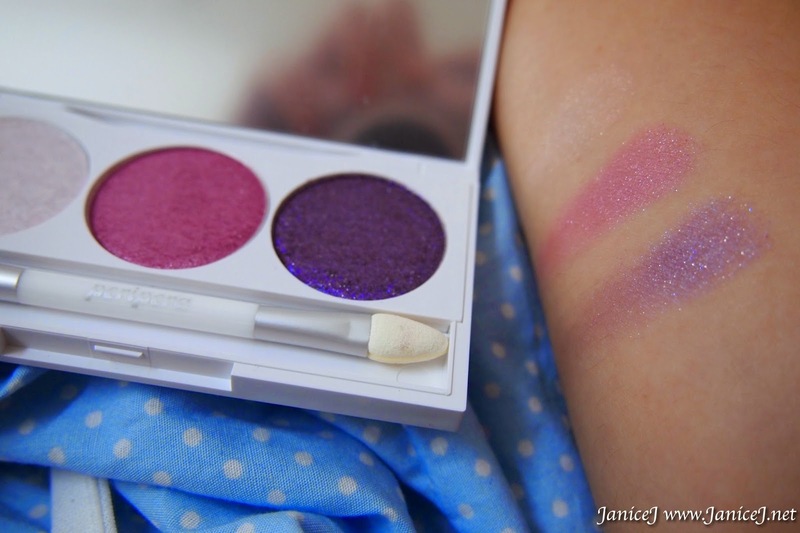 Let it go in light lilac, hot pink and plum purple. 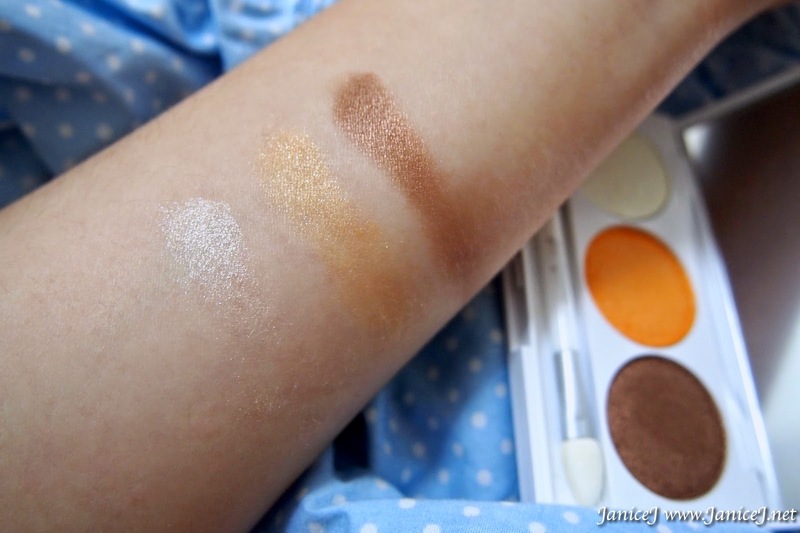 I'm Happy, Kristoff in cream white, honey orange and brown tone. 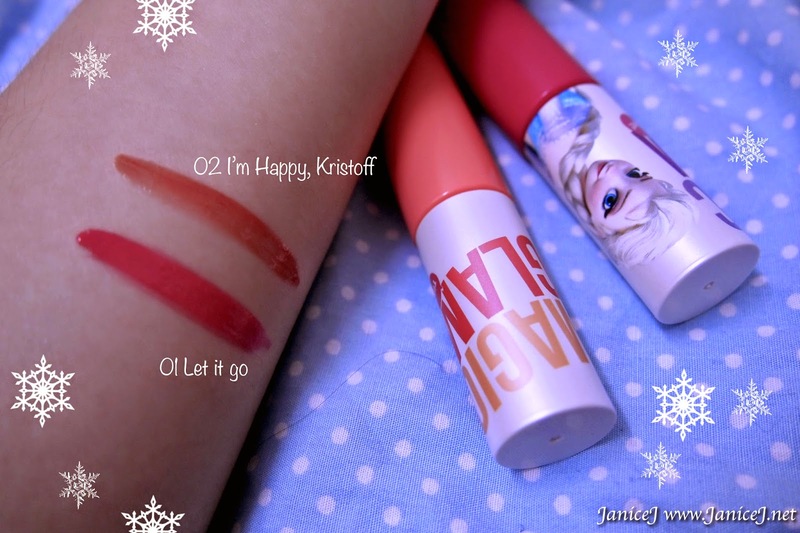 I'm Happy, Kristoff is less pigmented than Let it Go. 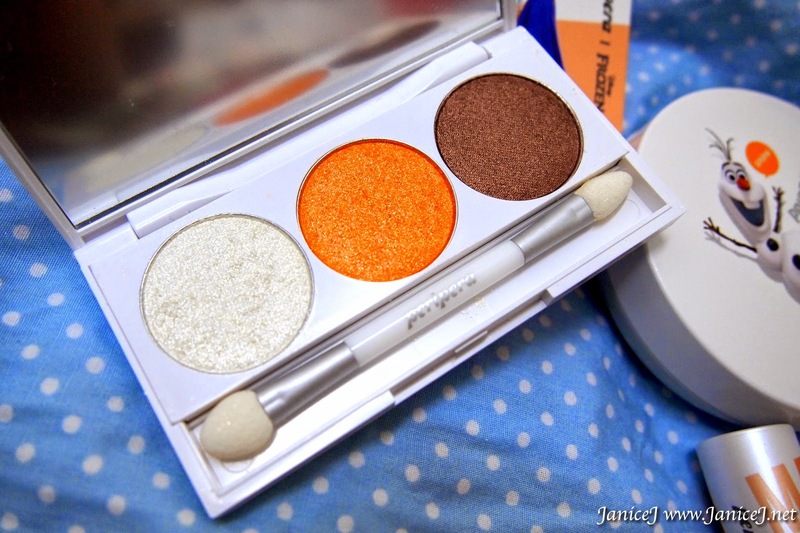 However, I could not resist the pretty orangey tone from I'm Happy, Kristoff. Guess I'm just more like a Anna girl. However, it gets washed off easily using water. 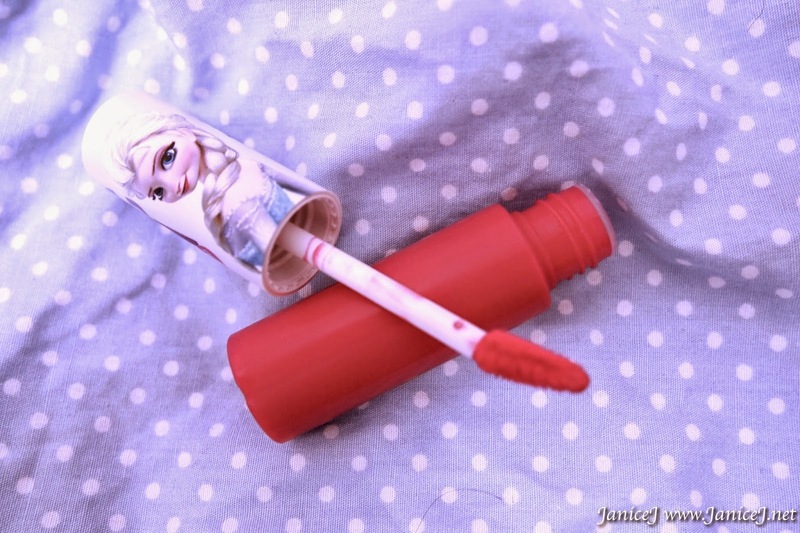 Peri Pera's lip products have always been my love. I like how they stay tinted even after eating. 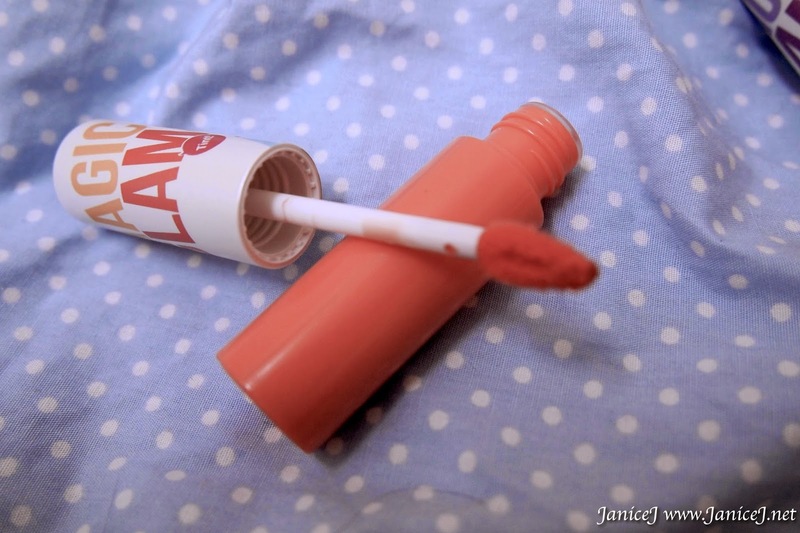 Both colours here is very beautiful and is suitable for daily use. 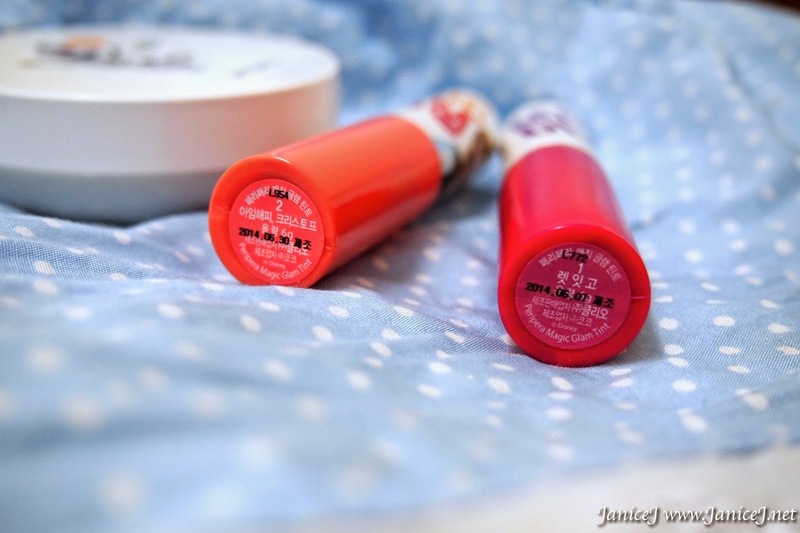 I have tried my best to edit the photo to match the actual colour of the products. Tried wiping it off with tissue and this is what left. 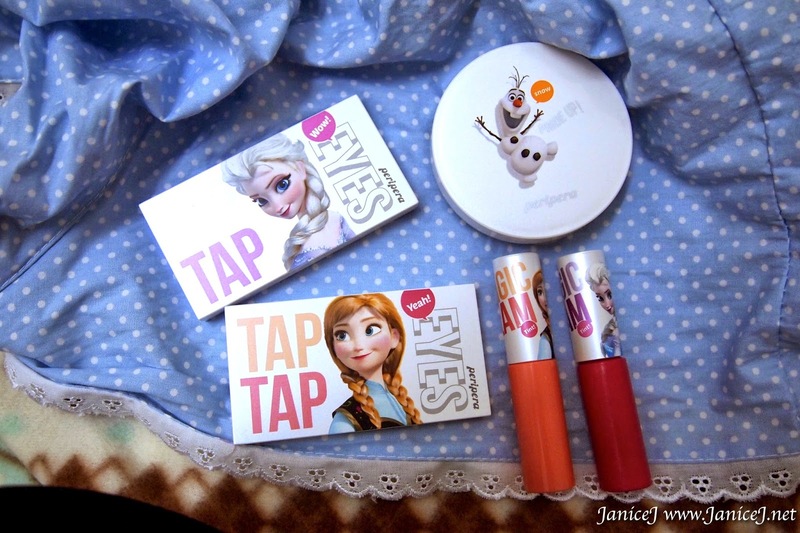 The series is certainly a must have for Frozen fans as collection even if you don't use makeups. 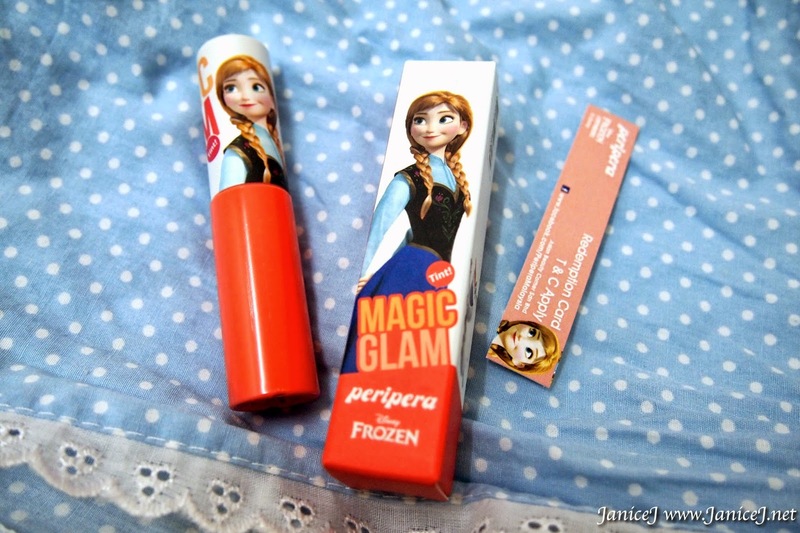 Maybe for those who are new to makeups as well since it is not expensive compared to counter brands! I bought all of them from Watson 1 Utama. Shall update when I get rest of the series! 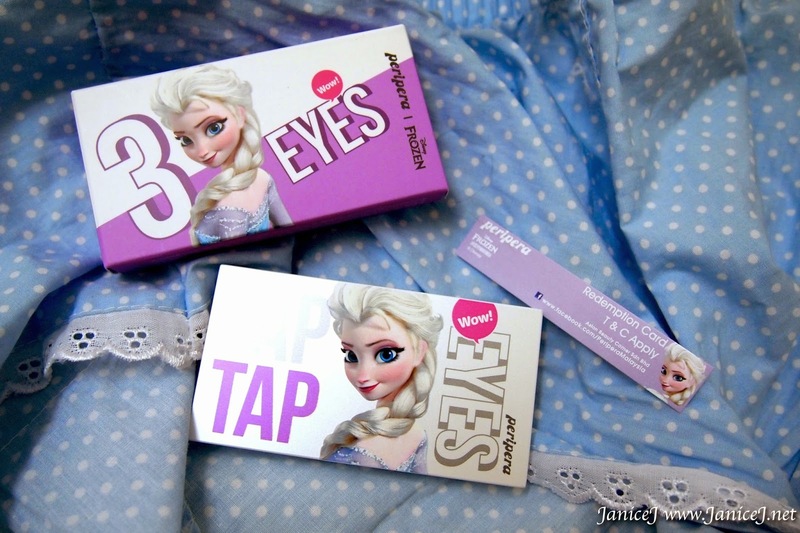 Anna, Elsa Makeup Tutorials maybe? 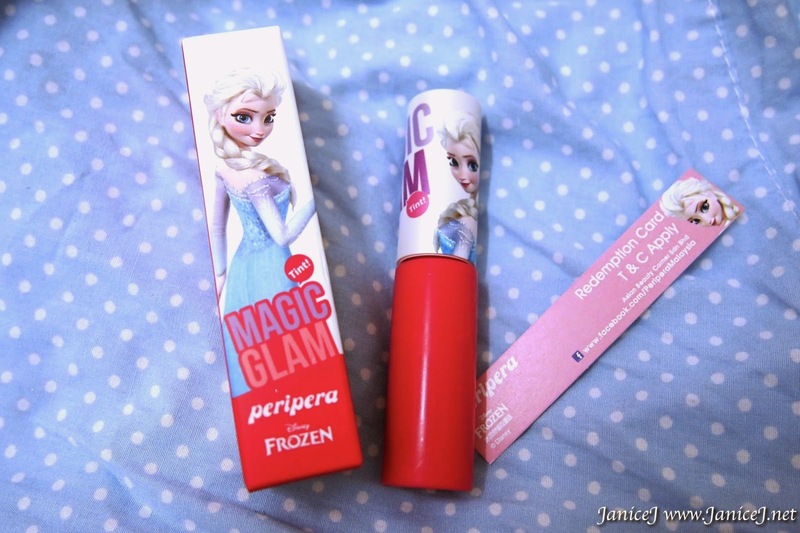 More details, visit Peri Pera Malaysia Facebook Page. What do you think of this series? Is it a go for you? Let me think about it!